Uttermost's Figurines & Sculptures Combine Premium Quality Materials With Unique High-style Design. With The Advanced Product Engineering And Packaging Reinforcement, Uttermost Maintains Some Of The Lowest Damage Rates In The Industry. Each Product Is Designed, Manufactured And Packaged With Shipping In Mind. This Gorgeous Sculpture Simulates Peas Sitting On An Open Pod, Finished In A Tarnished, Metallic Silver With Clear Crystal Spheres. 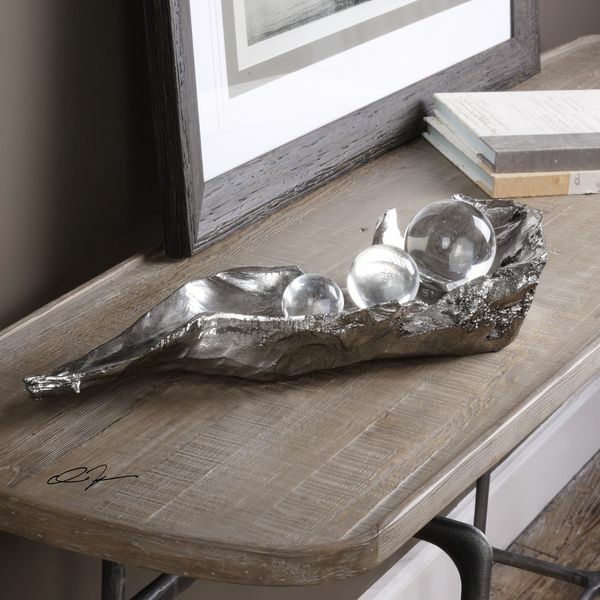 This Gorgeous Sculpture Simulates Peas Sitting On An Open Pod, Finished In A Tarnished, Metallic Silver With Clear Crystal Spheres.